Is 37 Prime Number? if so, what are all the Prime Factors? 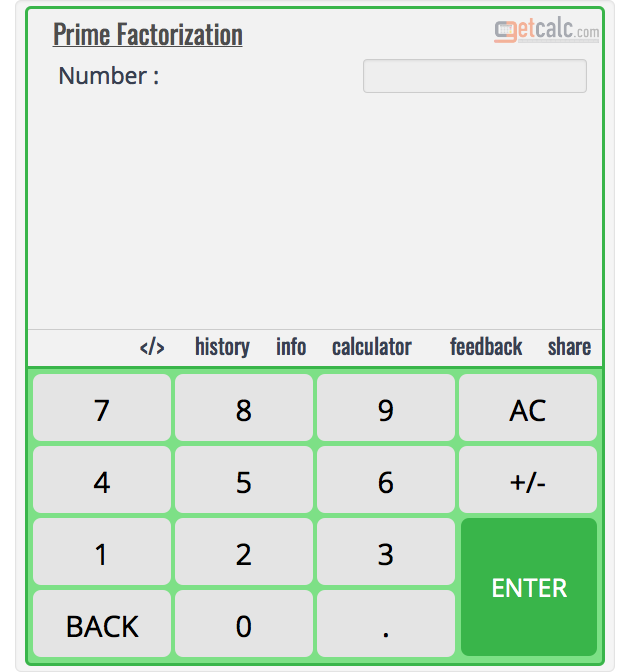 getcalc.com's Prime or Integer Factorization Calculator is to find what are all the prime factors of 37? The Integer 37 a prime number. It's only divisible by one and the number itself. Prime Factorization, also known as Integer Factorization, is a basic mathematic function, generally a method of finding the prime factors (the basic building blocks of a number) of an integer. A prime factor is a prime number that can be divisible by itself or 1. It's widely used in cryptography techniques or algorithms. What are all the Prime Factors of 34? What are all the Prime Factors of 35? What are all the Prime Factors of 36? What are all the Prime Factors of 38? What are all the Prime Factors of 39? What are all the Prime Factors of 40?